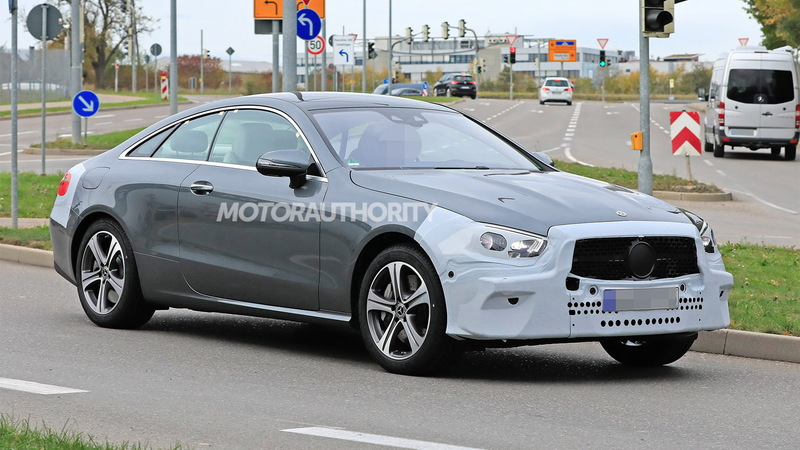 Mercedes-Benz's E-Class family is approaching the midway point in its life cycle and a prototype for an updated member has just been spotted. 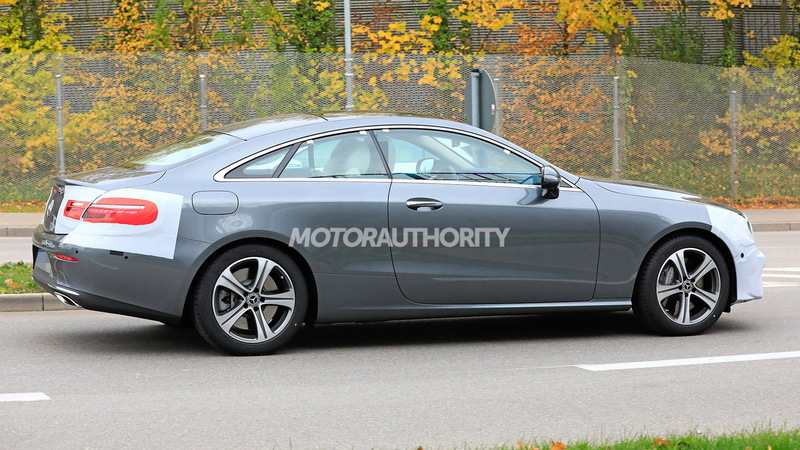 The prototype is for the E-Class Coupe but similar updates should be bound for other E-Class members. 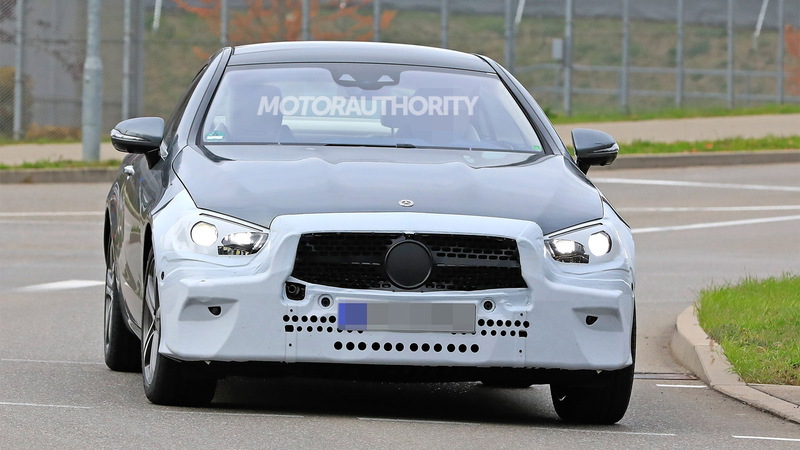 We've also spied prototypes for the updated E-Class Wagon and E-Class All-Terrain. The cars will be given a substantial makeover, with the headlights taking on a design similar to the units found on the latest GLE SUV. This should provide further differentiation between the E-Class family and smaller C-Class, which the current E-Class closely resembles. There also appears to be a new grille hidden beneath some of the camouflage gear. The taillights also appear to feature a new graphic, and you can count on Mercedes designers changing the front and rear fascias too. It isn't clear what the designers have in store for the cabin but it's possible we see Mercedes' latest infotainment system added. The system features a large touchscreen that can be operated much like a smartphone or tablet. The infotainment system also includes natural speak voice activation. 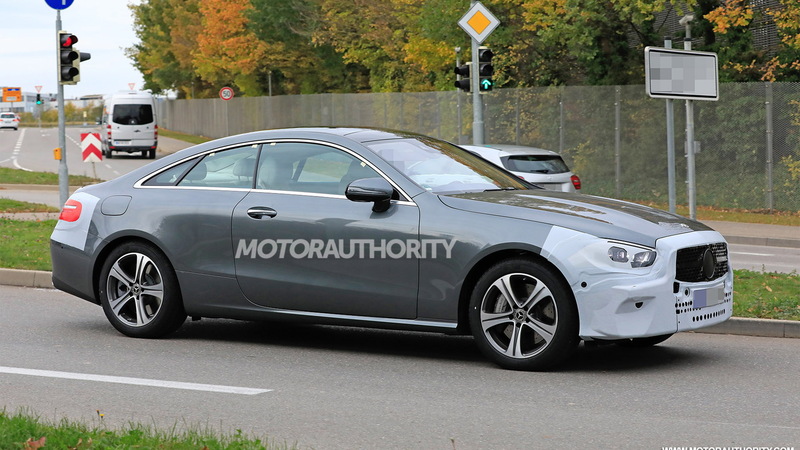 In the powertrain department, we could see the updated E-Class Coupe's E450 trim swap from a V-6 to Mercedes' new inline-6 and mild-hybrid setup. A high-performance version of this powertrain already features in the E53 Coupe from Mercedes-AMG that was added for 2019. 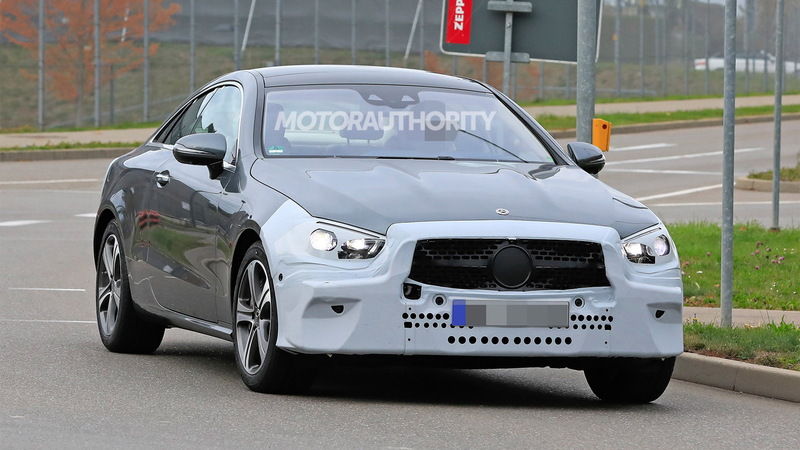 Don't expect AMG to add an E63 Coupe. The Affalterbach tuner already has a full fleet of high-performance two-doors with the C63 Coupe, S63 Coupe, SL63 and GT.